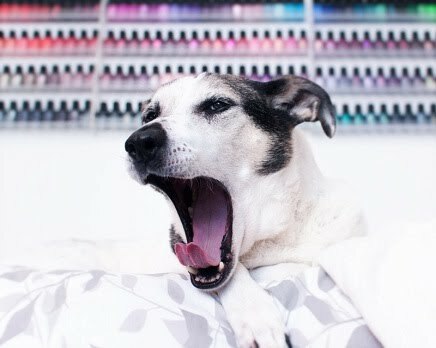 Polish Hound: Giveaway: Zoya Seashells & Sunsets! Hey everyone! How was your long weekend? Mine was pretty low-key and relaxing! This is a super exciting post! I've got a giveaway for you featuring Zoya Seashells and Sunsets collections for Summer 2016! These are both beautiful collections, and don't fret- swatches are coming soon! I thought I'd announce the giveaway first so that everyone who wanted to would have an opportunity to enter, and it could run for a bit longer. Main prize: one lucky person will win both complete (full-size) Seashells & Sunsets 6-piece collections! (12 polishes total). The polishes in both of these sampler sets are mini size (.25oz), and the lipstick is full size. Again, the polishes in these boxed sampler sets are all mini sized (.25oz), while the lipstick is full size. I had to group the boxed sets in this fashion because otherwise there was overlap between some of the polishes, and I know no one wants duplicates! You must be 18 years of age or older, and the giveaway is open internationally. The giveaway will run from today, 5/31 through 6/21 12AM CST, which is 3 weeks. The winners will be announced the following day: Wednesday, 6/22. All entries are via the Rafflecopter widget below. Winners are chosen randomly via Rafflecopter 'Add A Winner' name generator. As stated above, the three winners will be randomly generated within Rafflecopter. The first runner-up will receive his/her choice between the #2 & #3 boxed sets. The second runner-up will receive the remaining boxed sets prize (either #2 or #3) not spoken for by the first runner up. Rules: Entries are open from May 31, 2016 at 12 AM CST and close on June 21, 2016 at 12 AM CST. You must be 18 years or older and/or adhere to the rules of your state regarding giveaways to enter. All prizes are brand new and unused. They were provided as press samples by Zoya/ Qtica. Items in this giveaway include the Zoya Sunsets Full Collection and the Zoya Seashells Full Collection; the Sunsets Summer Lips & Tips Quad with the Seashells 4 pc PixieDust Fun Size Sampler; the Seashells Summer Lips & Tips Quad with the Sunsets 4 pc Fun Size Sample. The approximate value of these items in total is $184 USD, but the prizes are not redeemable for cash. These items will be shipped directly to the winner by Cait/Polish Hound. Polish Hound is not responsible for lost shipment or damage that occurs during shipping. This giveaway is open internationally. You must follow Polish Hound on Instagram to enter. Extra entries are outlined on Rafflecopter. Three winners will be chosen at random on June 22, and notified the same day. Winners must provide a means of contact in order to be notified. If winner does not respond within 48 hours, a new winner will be chosen at random. By entering or accepting the prize in this contest/giveaway, the winner agrees to be bound by the Official Rules, Terms & Conditions and to confirm to all federal, state and local laws and regulations.